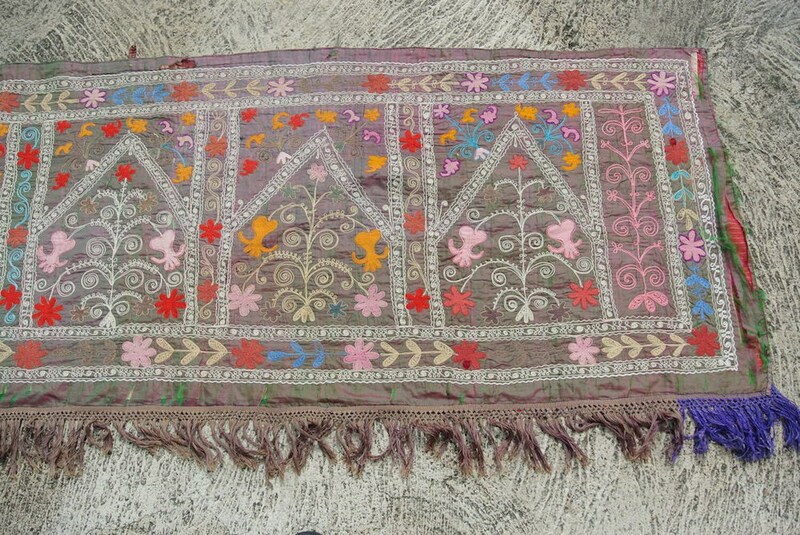 This Zardevor is not in good condition due to age but really beautiful and original ! 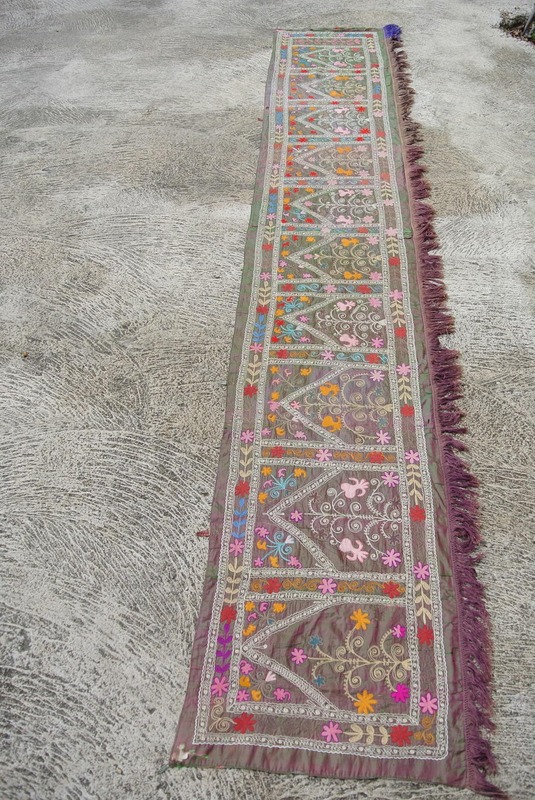 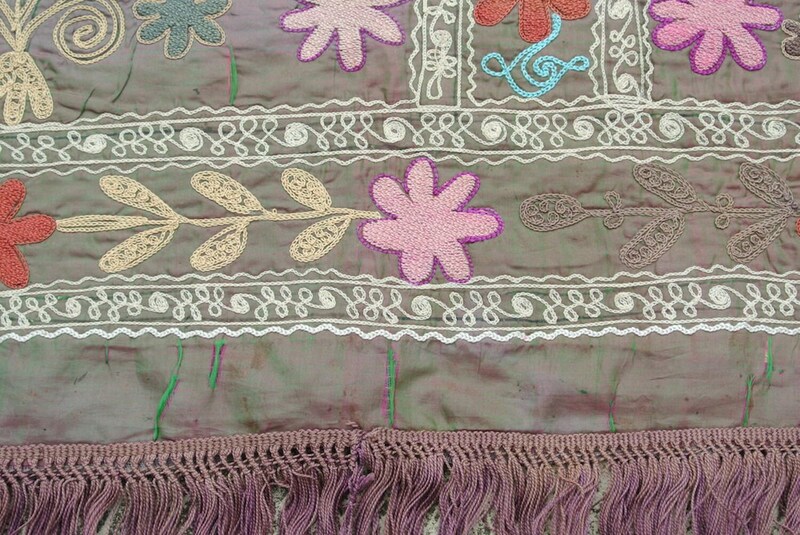 The color of the silk ground changes from soft green to soft pink along the piece depending on the daylight or lighting ! 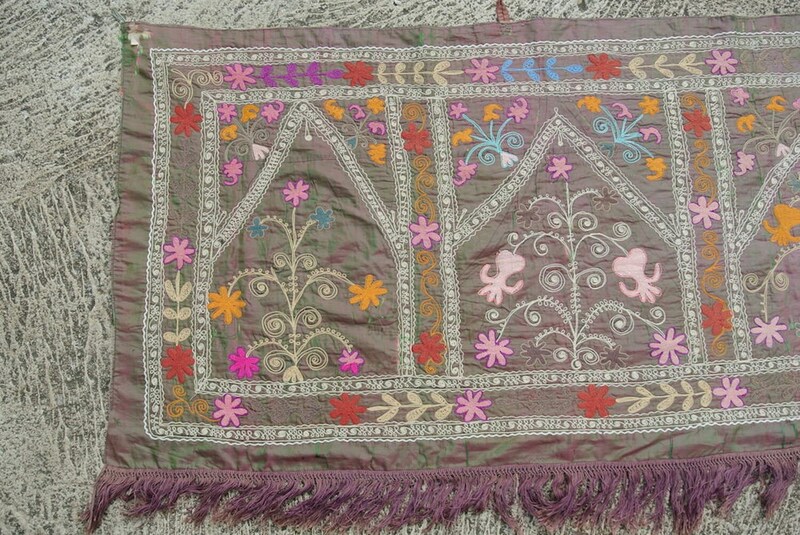 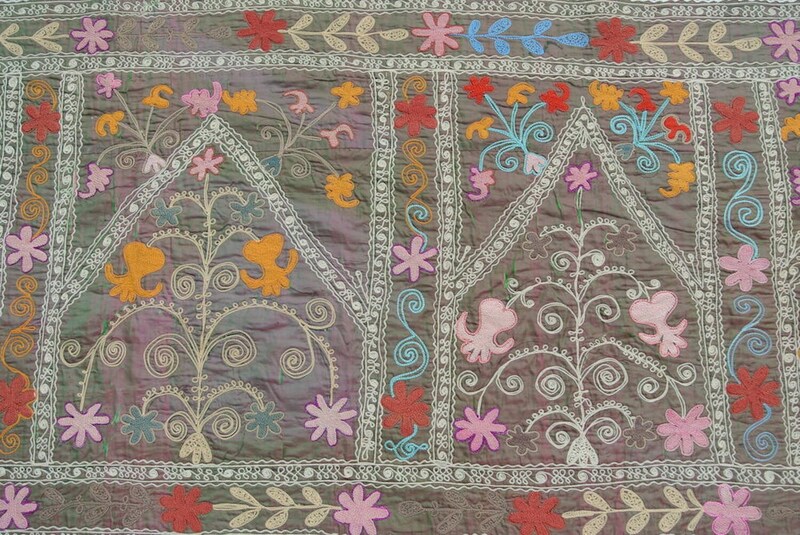 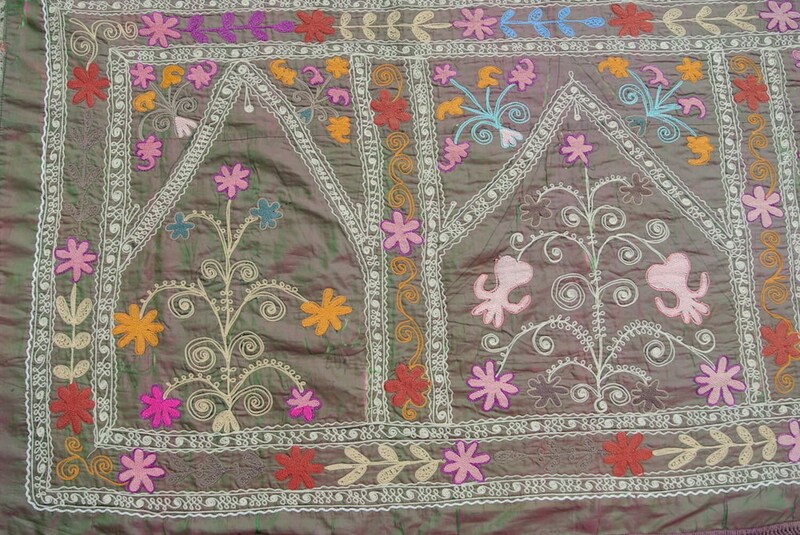 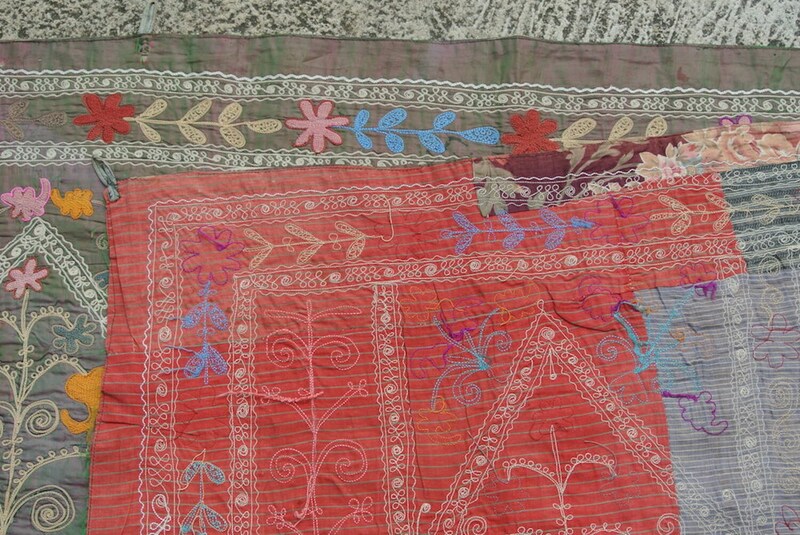 This kind of piece were a wall hanging fixed close to the ceiling on the upper part of a wall in the guest-room. 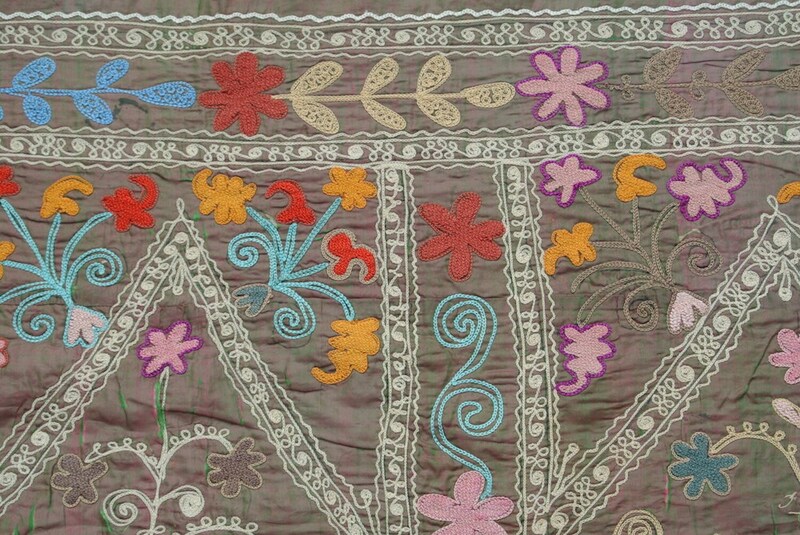 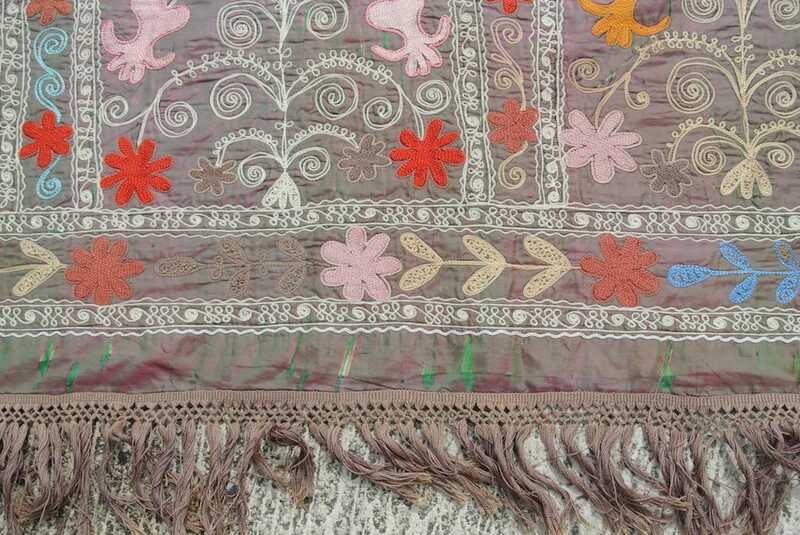 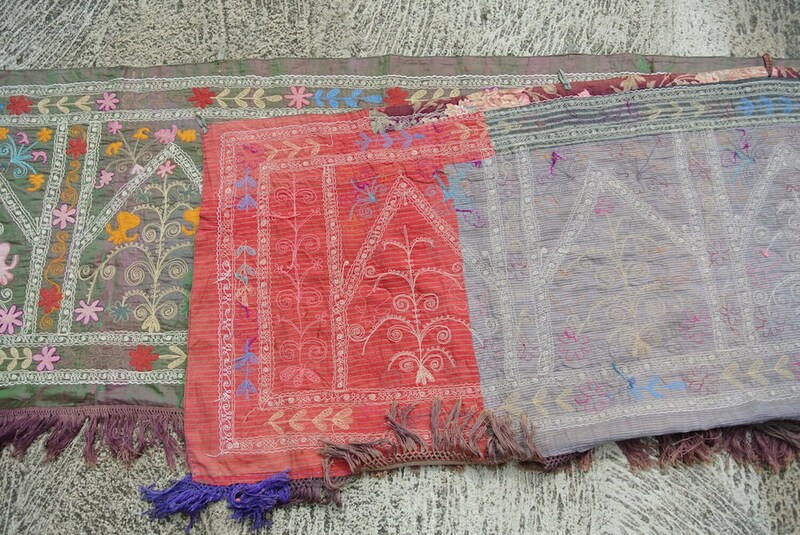 They were traditionally made by women as a part of dowry.